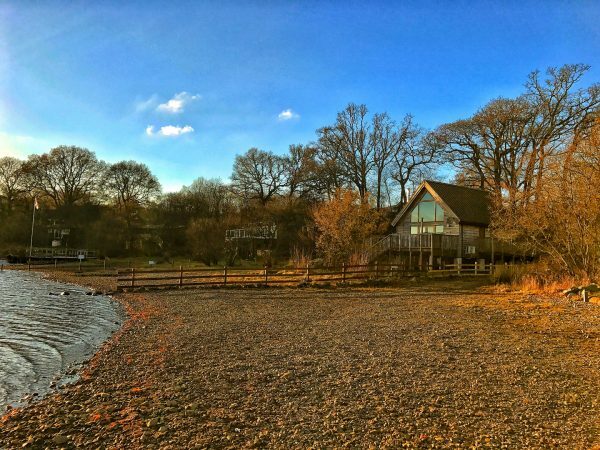 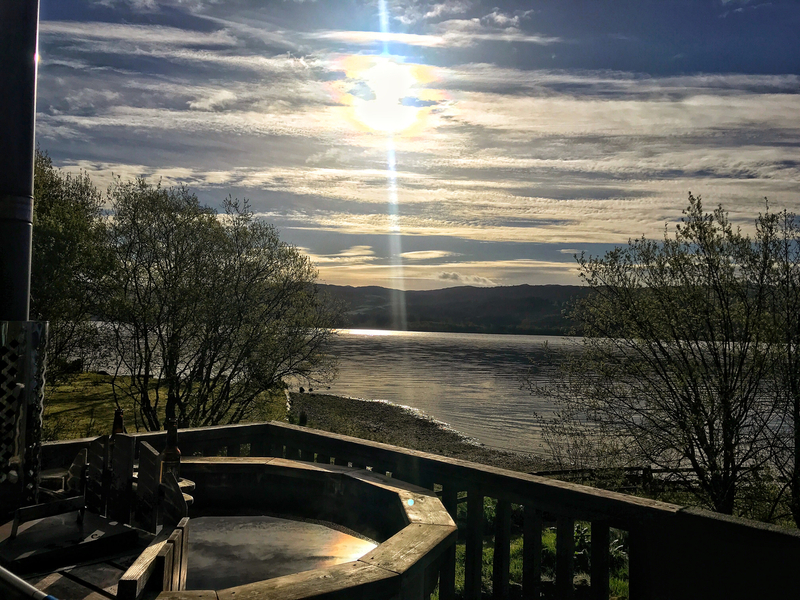 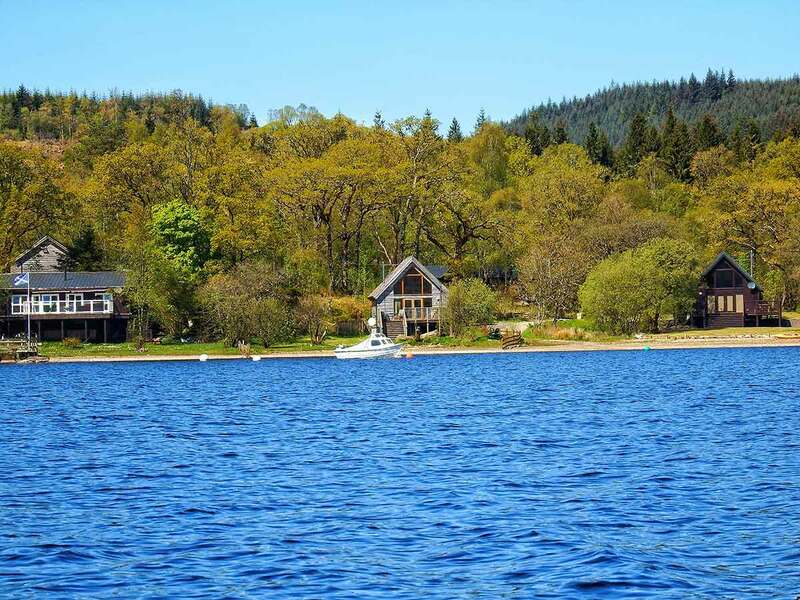 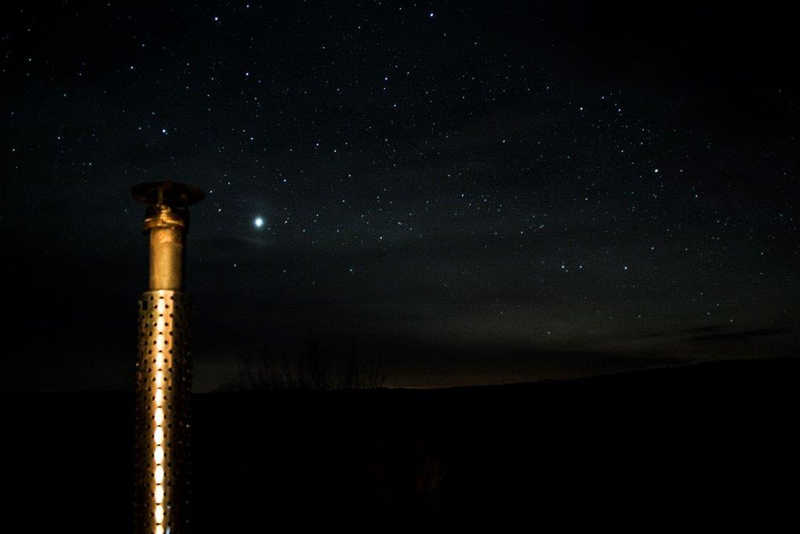 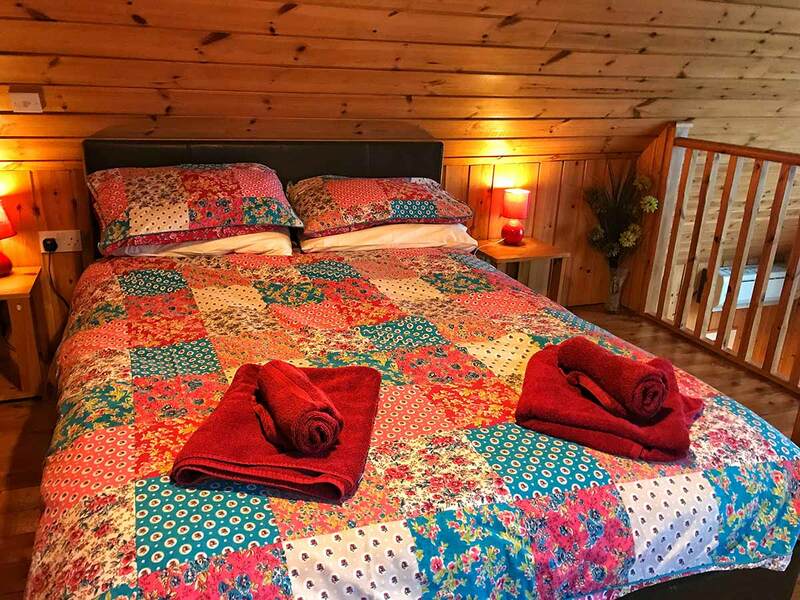 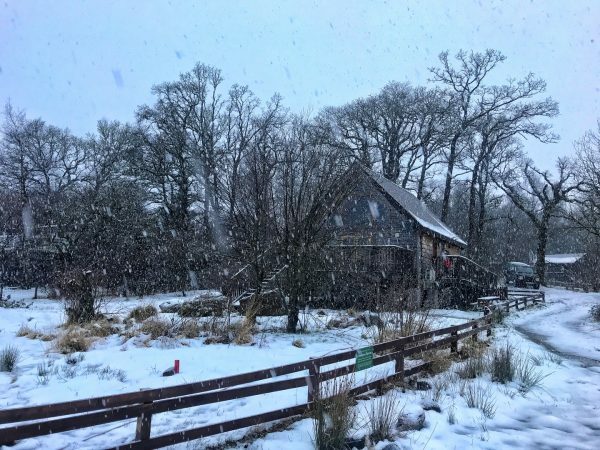 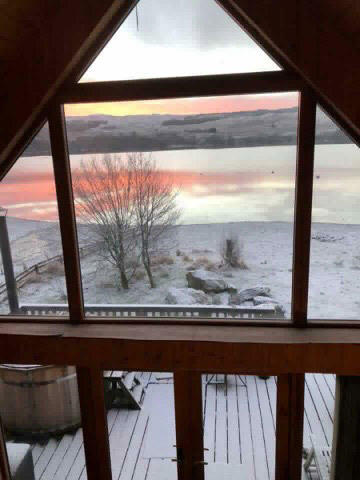 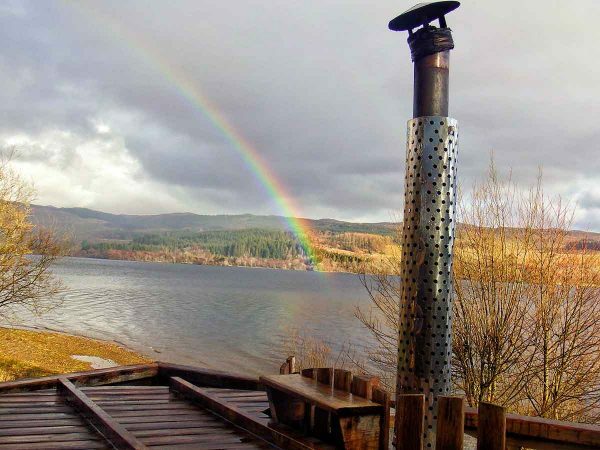 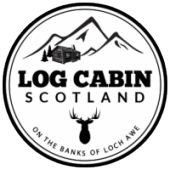 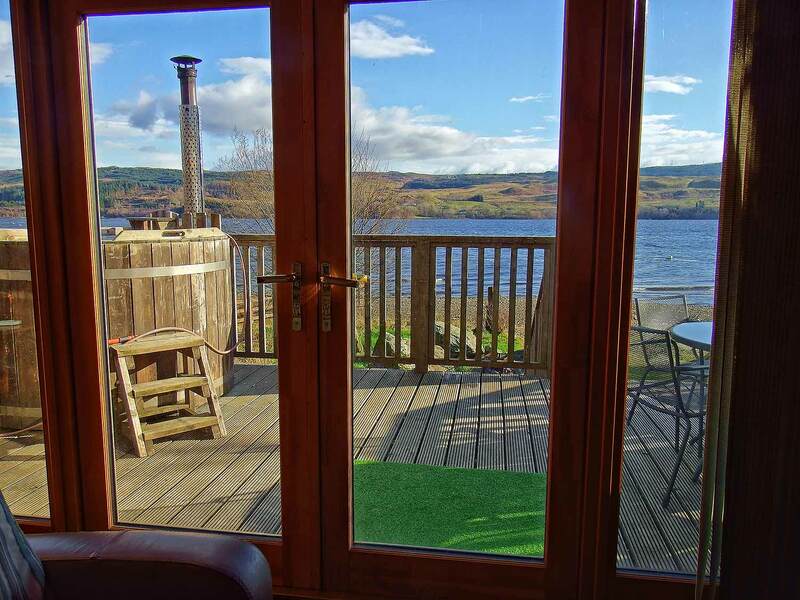 Lochside Lodge is a beautiful very comfortable log cabin with hot tub situated on the shore of Loch Awe in a large 1/4 acre plot. This stunning log cabin has a large verandah with hot tub and steps leading down to the shore front and natural fire pit. 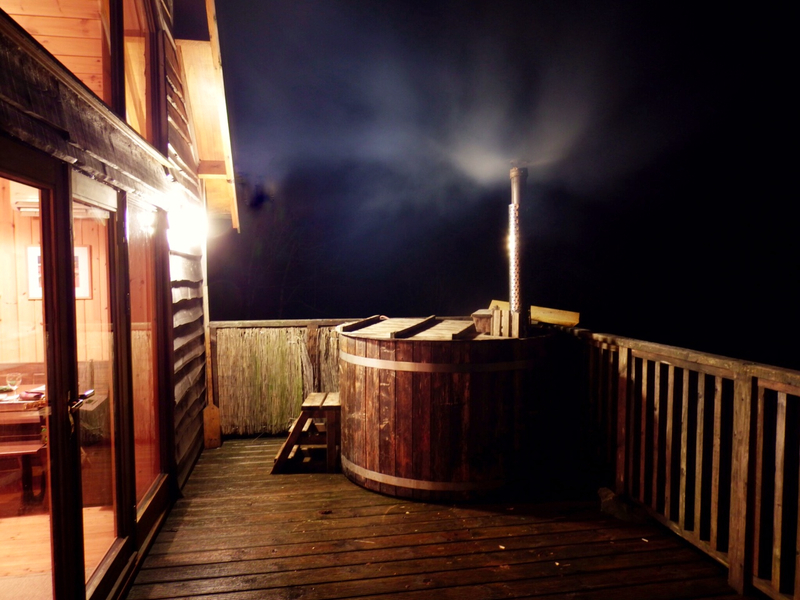 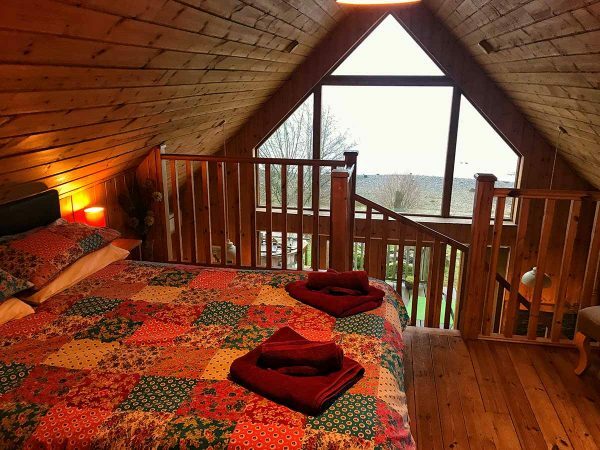 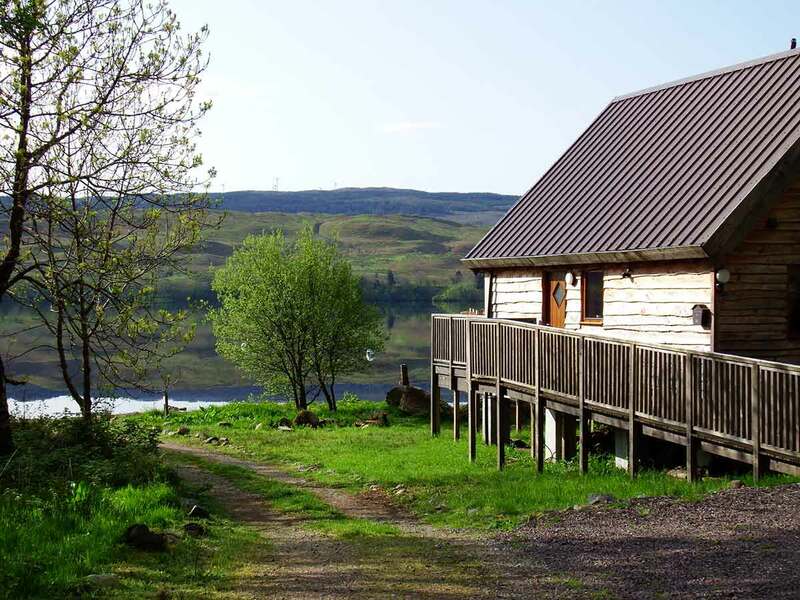 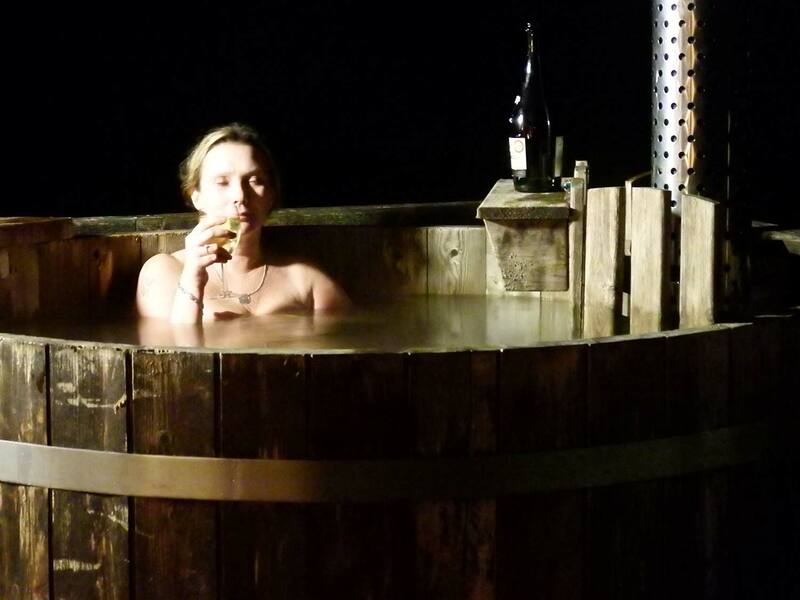 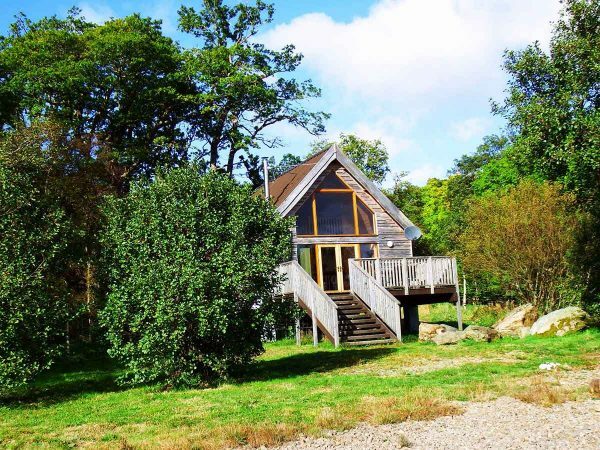 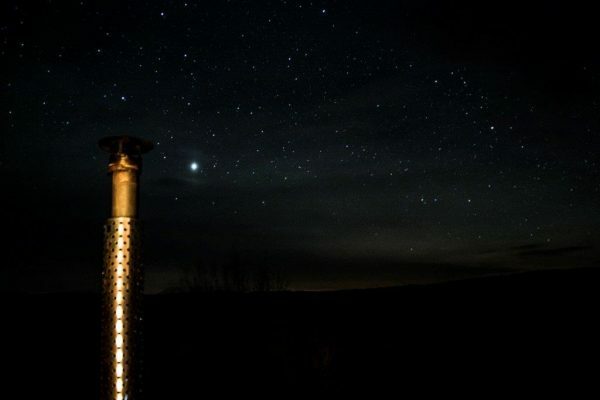 This log cabin is perfect for your Scotland weekend break in a log cabin with hot tub. 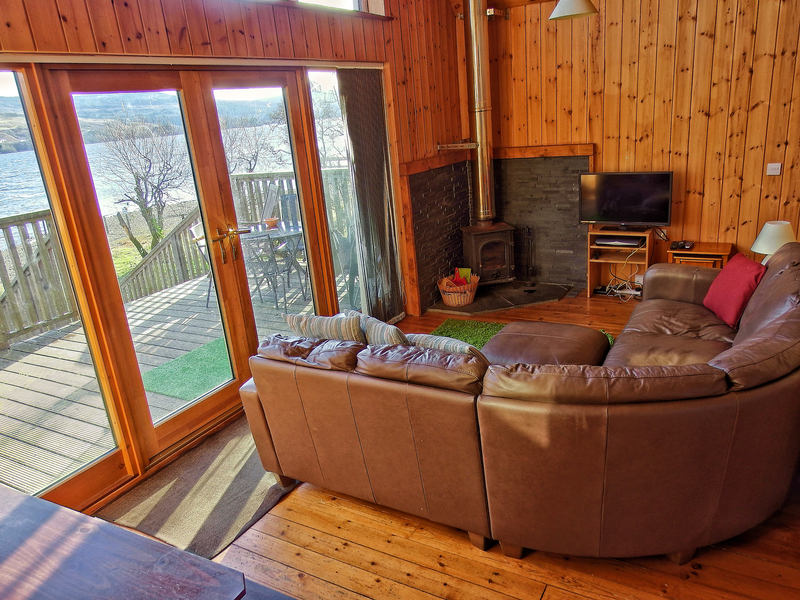 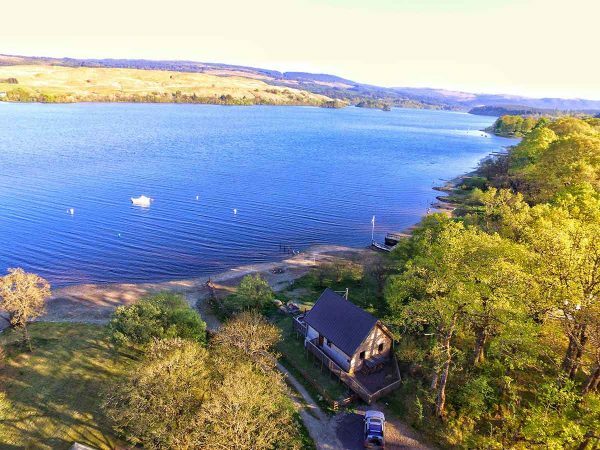 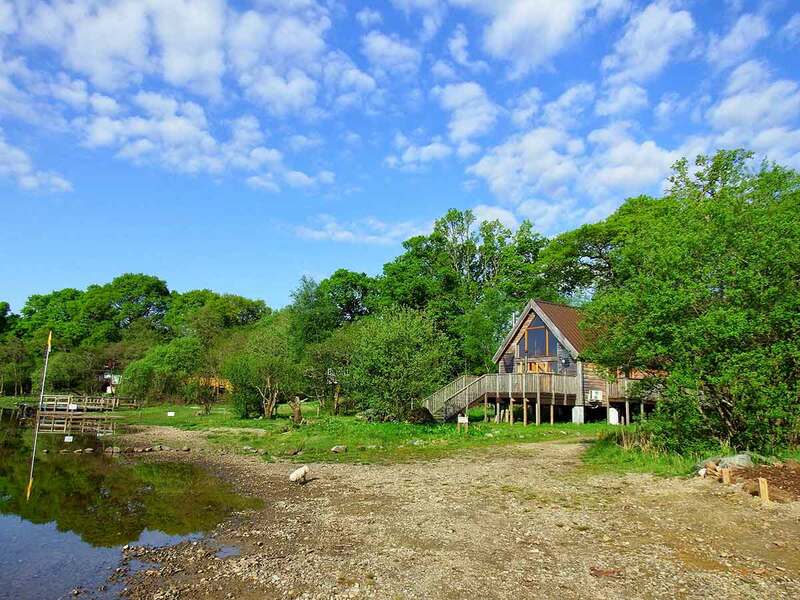 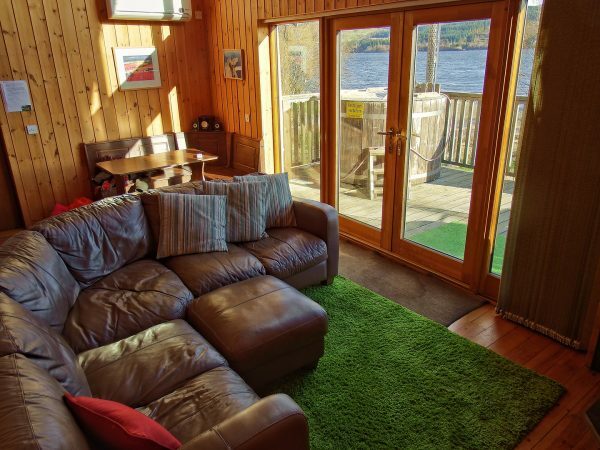 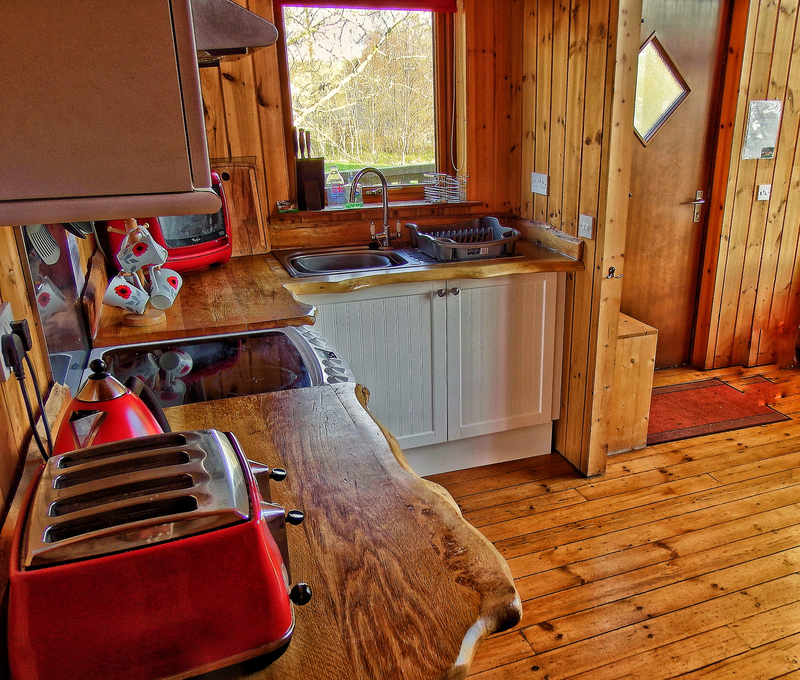 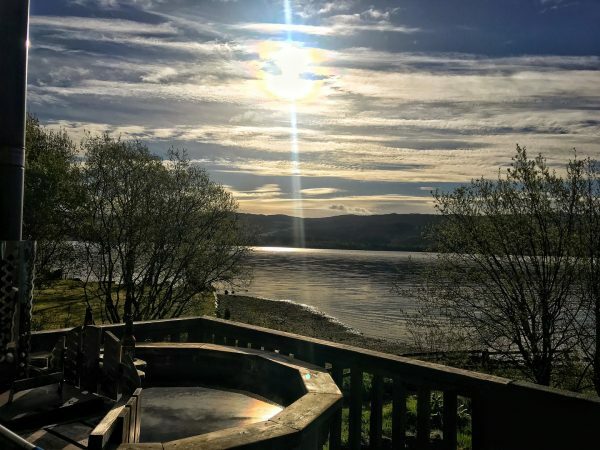 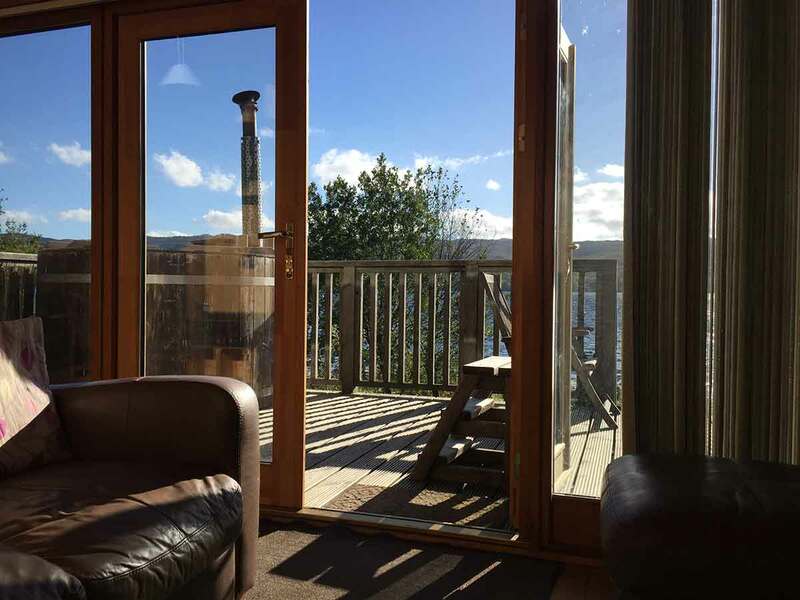 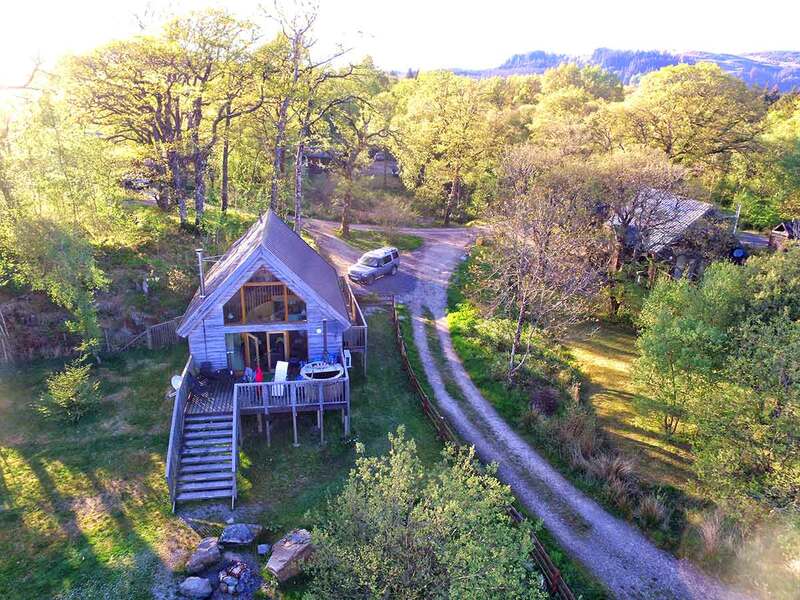 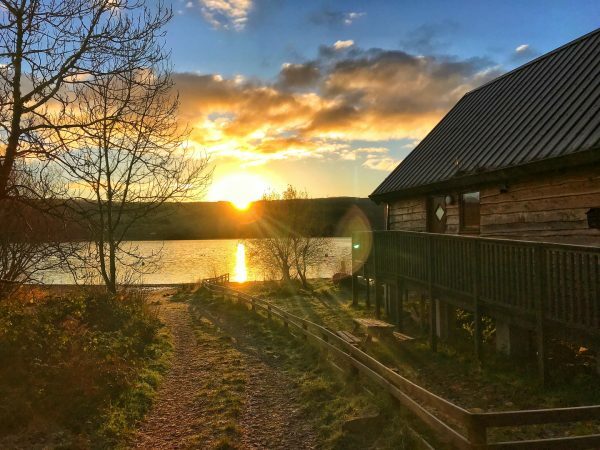 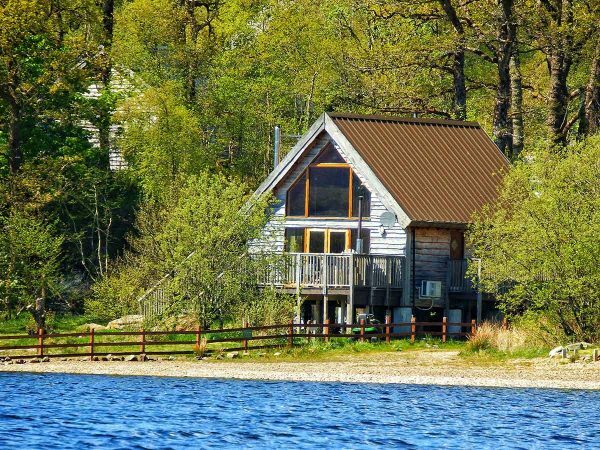 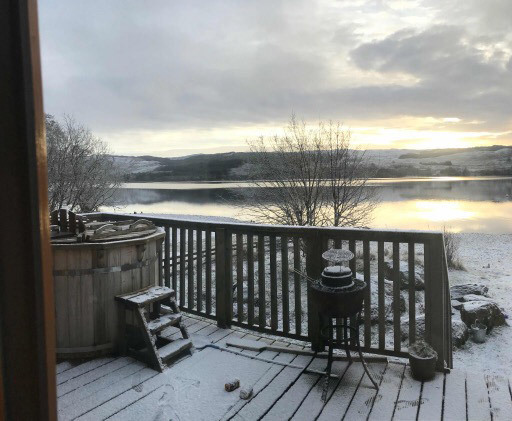 With 3 bedrooms the cabin comfortably sleeps 6 and with the main mezzanine bedroom having its own ensuite shower room and toilet and looking out directly over the tranquil Loch Awe what more could you ask for. There is satellite TV, DVD, Hi Fi (via TV & DVD), sofa, easy chairs, dining table and a lovely wood burning stove. 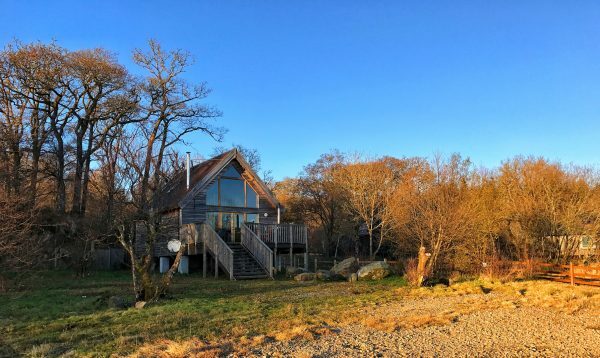 The French windows opening onto a raised veranda look straight out onto the loch with the steps leading down to your private beach and large fire pit. 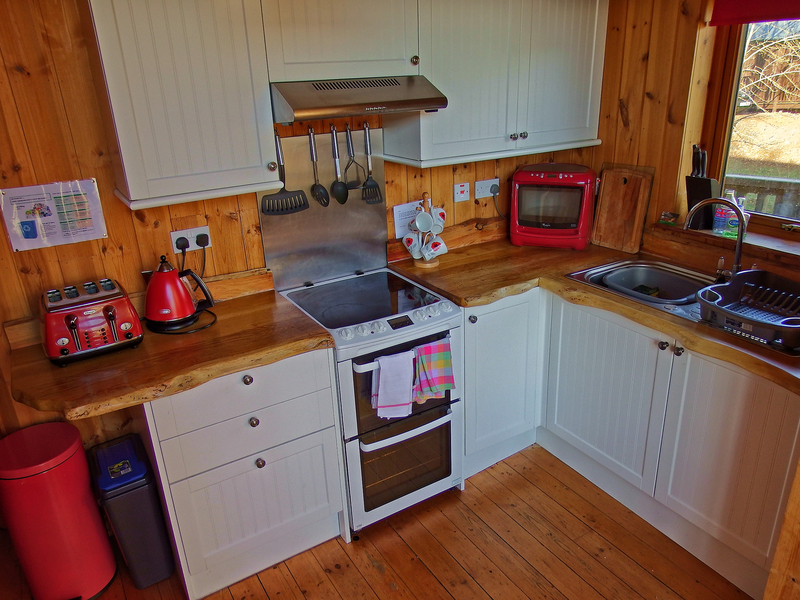 The kitchen area is well equipped, with cooker, full size fridge freezer, microwave, toaster, kettle and all necessary utensils, crockery & cutlery.Shower room is tastefully finished and has electric shower, wash basin, toilet and shaver point. 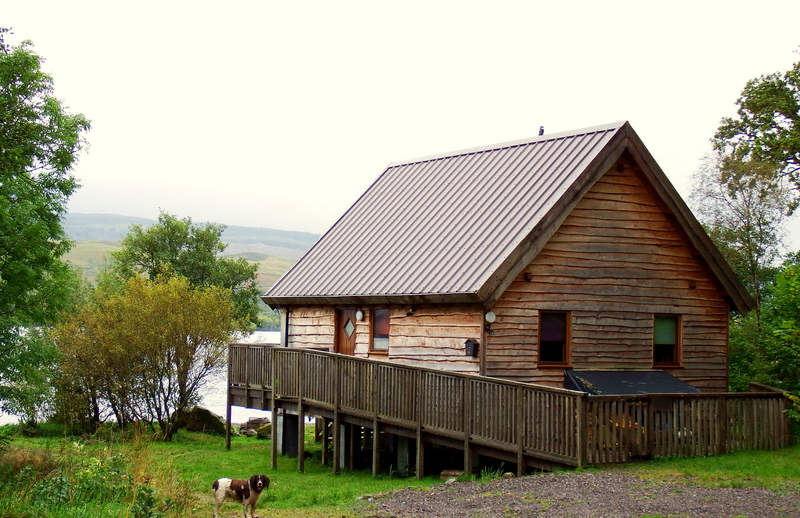 The log cabin is very private and comes with fishing rights and easy access to boat launch area.